Charlie is described as “just a class act with quality of work beyond his call“. His experience covers not only domestic but also international disputes, such as CAR matters in respect of Saudi Arabian engineering projects, Qatari gas processing facilities and contractual disputes relating to developments in St Vincent and the Grenadines. Charlie, who is described as “a star of the future” has also been working as a junior in high value CAR claims arising out of sand ingress damage in wind turbines in Saudi Arabia, as part of a team on a large arbitration arising out of gas processing works in Qatar and on Contractors’ All Risks (“CAR”) matters closer to home. Charlie has experience in relation to a variety of standard form contracts including FIDIC, NEC and the JCT forms. Of late, he has also been involved in numerous construction, adjudication and related professional liability matters in his own right; these include a multi-million-pound final account loss and expense dispute arising out of hotel development works in Piccadilly, allegations of professional negligence against a firm of architects in relation to a large-scale commercial development in North Wales and a contractual dispute in respect of a data processing facility in Belgium. Whilst on a Pegasus Scholarship in the Middle East, Charlie worked with the DIFC Courts. During this time, he was involved in the DIFC Courts of the Future Forum (convened to meet the demands of future litigation and design the courts of the future) and, in particular, drafted the first round of the procedural rules for the courts of the future, speaking at the launch event for this international project. His experience covers not only domestic but also international disputes, such as CAR matters in respect of Saudi Arabian engineering projects and contractual disputes relating to developments in St Vincent and the Grenadines. A construction and insurance dispute arising out of delays to the remediation of medical facilities following significant fire damage, including dealing with expert delay and valuation evidence. Adjudication enforcement proceedings connected with a large London commercial development: successfully achieving a stay of enforcement of an adjudicator’s decision for his client. Appearing in a successful application for an injunction to prevent works being carried out in the absence of a Party Wall Award. A successful application for an injunction to restrain presentation of a winding up petition issued on the back of a Construction Act interim payment debt. Representing a construction company in a claim against geotechnical and structural engineers after the collapse of a cold store. Secretary of State for Defence v Turner Estate Solutions Limited  EWHC 1150 (TCC): a claim under section 45 Arbitration Act 1996 for the determination of a preliminary question of law arising out of a target cost contract. Delay, disruption and defects claims arising out of works to construct a hotel in Piccadilly Circus. A dispute over the ability of an Employer to deduct liquidated damages under a contract relating to infrastructure works at St Bart’s Square. Payment and final account disputes for developers, contractors and employers. Several disputes arising out of major infrastructure projects, including the extension of the London Underground, the Merseylink project, works at Sellafield, and the Ellesmere Port Preprocessing plant. Whilst on a recent Pegasus Scholarship in the Middle East, Charlie assisted with the establishment of a joint RICS-DIFC Courts Dispute Review Board to assist with disputes on large-scale construction projects, and reviewed the DIFC’s Technology and Construction Division Rules. Charlie is also a regular contributor to the Practical Law Construction Blog and Lexology. A large delay and disruption dispute arising out of gas processing works in Qatar involving parties from Japan, France and Pakistan. Claims arising out of sand ingress damage in wind turbines in Saudi Arabia. A contractual dispute in respect of a photovoltaic power plant in Turkey. A CAR dispute in relation to damage to undersea cables arising out of the construction of a UK offshore wind farm. Advising a developer in relation to the electricity distribution aspects of a commercial-residential development. Charlie’s practice has already seen him gain experience in relation to both domestic and international CAR work. Charlie accepts instructions for CAR work in his own right and has recently had conduct of a case involving fire damage to a construction project in London. Charlie is also a contributor to Construction All Risks Insurance (2nd edition) which was published in July 2016. Charlie deals with numerous professional liability disputes, usually with a construction focus, including claims involving architects, engineers, surveyors and project managers. Charlie was junior to Justin Mort QC in BDW Trading Ltd v Integral Geotechnique (Wales) Ltd  EWHC 1915 (TCC) a claim brought by a housebuilder against a geotechnical engineer arising out of an allegedly negligent failure to advise on the risk of asbestos in the ground at a development site in a report produced for a third party. Advising in relation to a claim against structural engineer and geotechnical advisers. Representing an engineer in a case arising from the allegedly defective construction of an oil and gas processing facility. Defending numerous architects against allegations of professional negligence arising out of various domestic projects. Assisting in a claim for the allegedly defective construction of wind turbines involving questions over the interaction of fitness for purpose obligations with design life criteria. Charlie handles a wide variety of commercial matters, with a practice that spans both pure commercial work and commercial-construction claims involving bonds and guarantees. 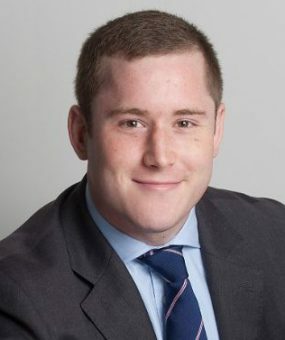 He prides himself on being sensitive to the demands of commercial clients and has recently dealt with disputes arising out of the dissolution of a partnership, a case arising out of a failed PFI arrangement, and regularly deals with cases involving commercial contractual interpretation. A case involving a DIFC company and a UK medical device manufacturer including disputes over the recoverability of a success fee and jurisdictional objections to the claim being brought in the DIFC Courts. "Just a class act with quality of work beyond his call. I defy clients not to get on with him." "Great on paper and leads on big cases relative to his call. A star of the future."